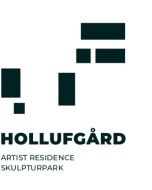 The association is a business partner for The Private Institution Gæsteatelier Hollufgård. The association was founded the 4th of May 2011. It is an amalgamation between two unioins; Fyens Billedhugger Værksteder and Fyns Billedkunstnerværksteder. Members are allowed to use the facilities at Gæsteatelier Hollufgård. It is possible, after an application, to get your own studio- and/or workshop space in a given period. Artist, both national and international, are allowed to seek membership. If you want to become a member you need to send an application and a resume, which shall include information about your work. The board will then evaluate the material and will afterwards contact you, to let you know if you are admitted. The board consists of 5 members and 2 alternates, all which is elected at the general Assembly. Vedtaegter for Foreningen Kunstnervaerkstederne Hollufgaard.